According to respected BBC journalist David Ornstein, Arsenal are in talks with Inter Milan about signing Ivan Perisic on an initial loan ahead of a potential £35m move as Unai Emery looks to sign two players this month. The boss has already admitted several times that he wants to strengthen before the close of the winter window and Ornstein claims Arsenal have now approached Inter about a surprise loan deal for Perisic. The BBC journalist says Arsenal want to sign the 29-year-old on an initial loan with an option to buy for £35m in the summer and Perisic is believed to be open to the idea of leaving the San Siro. The Croatian international signed a five-year deal in September 2017 after being linked with a move to Man Utd that summer but he’s struggled for form this season after losing the World Cup final back in July. Perisic has scored just three goals in 25 games this season and has looked a shadow of the player he was a year or two ago so I think it would be madness for Arsenal to spend £35m on him in the summer – especially as he turns 30 next month. A loan would be great business as he’d give us some natural width – something the squad desperately lacks – until we can buy a longer-term option in the summer but I personally don’t see Inter letting him leave on a short-term basis. Boss Luciano Spalletti opened the door for Perisic to leave today after suggesting that he could go if the price was right, but that sounds to me like they want a permanent sale and not a loan deal. We’ll have to wait and see how things progress with Perisic but Ornstein claims Arsenal are also working to bring in a versatile midfielder before the window closes with Denis Suarez and Christopher Nkunku the prime targets. Suarez has been strongly linked with a move this month but we’ve struggled to agree terms with Barcelona as they want to include an obligatory clause in the deal forcing us to make the loan permanent in the summer. 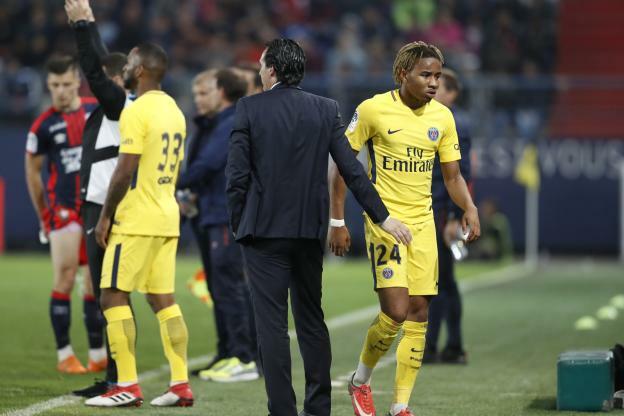 Nkunku emerged as a target last week and Paris Saint-Germain will reportedly let the young midfielder leave if they can sign a replacement. The French champions are closing in on a deal for Leandro Paredes so they may let Nkunku join Arsenal once that move if wrapped up. We could certainly do with reinforcements in midfield and out wide but surely Emery must be in the market for another centre-back? Rob Holding is out for the season and Laurent Koscielny suffered a suspected broke jaw against Man Utd. Sokratis also limped out of that game so we’re down to the bare bones at the back and I’d be hugely disappointed if Arsenal don’t bring in another centre-back over the coming days.